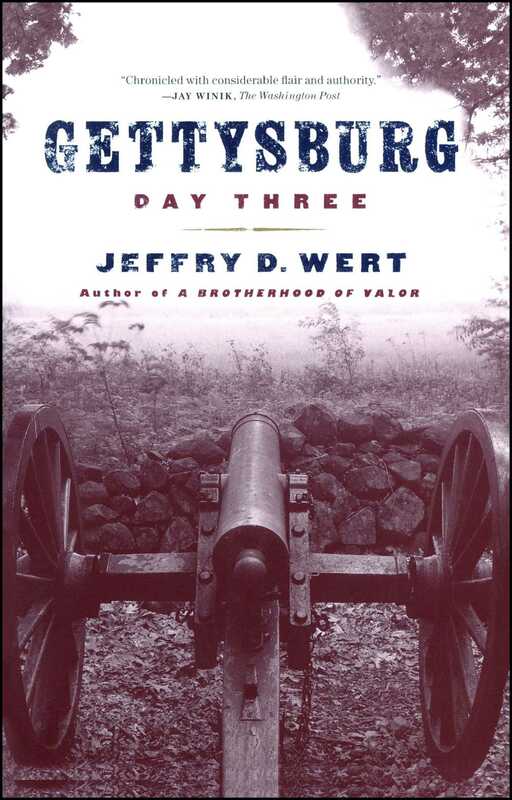 Jeffry D. Wert re-creates the last day of the bloody Battle of Gettysburg in astonishing detail, taking readers from Meade's council of war to the seven-hour struggle for Culp's Hill -- the most sustained combat of the entire engagement. Drawing on hundreds of sources, including more than 400 manuscript collections, he offers brief excerpts from the letters and diaries of soldiers. He also introduces heroes on both sides of the conflict -- among them General George Greene, the oldest general on the battlefield, who led the Union troops at Culp's Hill. A gripping narrative written in a fresh and lively style, Gettysburg, Day Three is an unforgettable rendering of an immortal day in our country's history. Lieutenant George G. Benedict had never heard the sound before in his life. Like his comrades in the Second Vermont Brigade, the staff officer had been a soldier less than a year, most of that time spent on garrison duty at Washington, D.C. Attached to the Army of the Potomac as it marched north toward Pennsylvania, the Vermonters faced the terribleness of combat for the first time on July 2. Now, with night's darkness across the battlefield, Benedict heard the sound that rolled over the crest of Cemetery Ridge, where he rested with his fellow soldiers, and likened it to "a low, steady, indescribable moan." It came from hundreds of voices, pleading cries for help or for "water, give me water." These were the voices of war's wreckage, of dying and wounded men who lay amid the blackness. Everywhere death and maiming had walked on July 2, leaving furrows of victims in the Peach Orchard and the Wheatfield, on Little Round Top, and along Emmitsburg Road. To Benedict and the others who had been spared, the wounded men's "mingled imprecations, prayers &amp; groans...were literally heart rending." Only the living received attention during the night of July 2-3. Aided by a moon just past full, ambulance crews, assisted by soldiers searching for friends, roamed the fields and woodlots, gathering up the wounded. Hour after hour, the ambulances passed to the rear and returned for more cargo. Their movement was marked, according to a New Yorker, by "the line of red lights" from their lanterns. Men on picket duty from both armies allowed stretcher-bearers from either side to pass through their lines. "It was the saddest night on picket duty," wrote an officer, "that I ever passed." A Union staff officer found among the fallen Confederate Brigadier General William Barksdale. A former congressman and a fiery advocate of states' rights, Barksdale had led his brigade of Mississippians in an attack that swept across the fields north of the Peach Orchard. He fell wounded, and when his men were driven back, he was left behind. He had been shot in the back, and two bullets had broken his left leg. A stretcher crew carried the general to the Jacob Hummelbaugh house, where surgeons from the Second Corps had established a hospital. Dr. A. T. Hamilton of the 148th Pennsylvania attended to Barksdale, whom the surgeon described as "large, corpulent, refined in appearance, bald." Several times Barksdale asked if his wounds were mortal, and Hamilton told him that he would not survive them. Later on July 3, Barksdale died for the cause he had so vigorously espoused. The suffering men ended the night's journey as Barksdale had, at either a house or a barn converted into a makeshift hospital. The stream of ambulances was endless. The chief ambulance officer for the Union Fifth Corps reported that, from 4:00 P.M. on the 2nd to 4:00 A.M. on July 3, eighty-one ambulances brought in thirteen hundred wounded men to his corps's hospitals. The army commander had issued an order forbidding baggage wagons and ambulances to accompany the army to the battlefield. But doctors and generals ignored the directive, which George Meade admitted later had not included hospital wagons. "I do not know," confessed a member of the medical corps, "what could have been done with the wounded" if the order had been obeyed. The surgeons and their assistants worked all night on the flood of patients. A Georgia doctor scribbled in his diary, "I did not sleep a moment last night." But the hospitals were wretched places, "miserable death Holes" to a Confederate officer. A New York soldier exclaimed that words could not describe "the frightful picture of a field hospital." An ambulance-corps sergeant confided to his diary that "the suffering is awful," for the wounds "are mostly severe." A Pennsylvanian who visited a Union Third Corps hospital in a barn at dawn on the 3rd, said that it reminded him of a Philadelphia slaughterhouse. During the night, George Benedict was sent to the rear to obtain ammunition for the Vermonters. Since no one knew the location of the ordnance train, Benedict stopped at a dozen or more barns -- "the great Pennsylvania barns, looking more like large factory buildings than our New England barns," as he described them. At the door of one of them, Benedict found a common sight, "a ghastly pile of amputated arms and legs." Sometime, perhaps even before midnight, the army's bands were instructed to place themselves between the troops on the line and the hospitals. "They played by detachments all night," recalled a New York captain, "to drown out the cries of the wounded and those who were being operated upon." At one point, a number of bands joined together and played "When This Cruel War Is Over." "While we sympathized with the sentiment," the captain added, "we execrated the doleful and monotonous music." For the survivors of the combat on July 2, lying in the Union line from Cemetery Hill to Big Round Top, little else mattered than food and sleep. With cooking fires prohibited, the troops chewed on hardtack, a square, quarter-inch-thick cracker made of unleavened flour. In a number of regiments and batteries, the rations had been exhausted, and the officers and men had nothing to eat. An officer in Battery I, 1st United States Artillery, recalled that the unit's quartermaster sergeant disobeyed orders, went to the rear, and returned with forage for the horses and three days' rations for the gun crews. Sleep came easily, exhaustion overtaking the men despite the pleas of the wounded and the music from the bands. Many of them used their knapsacks as pillows, and all bedded down with their weapons beside them. Captain Silas Adams of the 19th Maine looked at the starlit night, brightened by the moonlight, and wondered if the one he loved at home was gazing at the same stars. When "I saw what I thought was a roguish twinkle in one of them," he wrote later, "I was satisfied that I was right, and I was happy and went to sleep." In the fields along Emmitsburg Road, west of Cemetery Ridge, detachments from several regiments manned picket posts. It was a long night for these soldiers as they lay amid the dead and the wounded. Required to stay awake, many of the Yankees passed the hours conversing with their Rebel counterparts, who in some places were less than seventy yards away. When relief parties moved forward to occupy the picket lines, a brief exchange of gunfire ensued. Many of the opponents had piled fence rails for protection, and few casualties resulted from the outbursts. It was a warm night, even an uncomfortable one, with the temperature in the seventies. Farther south, on Little Round Top, members of the Fifth Corps were directed to occupy Big Round Top. The first regiment to be assigned the task was the 20th Maine, under the command of Colonel Joshua Lawrence Chamberlain. During the fighting for possession of Little Round Top, Chamberlain and the Mainers had held the end of the Federal line and repulsed the assaults of two Alabama regiments. Their valiant defense would subsequently earn Chamberlain the Medal of Honor. The 20th Maine began the ascent of the steep, wooded height sometime after 9:00 P.M. The 83rd Pennsylvania, a companion regiment in the brigade, followed three or four hours later. By dawn, the 5th and 12th Pennsylvania Reserves had joined the pair of regiments on the hill, and secured at last the Federal left flank on Big Round Top. The movement of the units had not gone unnoticed and drew the fire of Texas skirmishers at the base of the hill. The rattle of musketry from the foot of Big Round Top indicated that elements of the Confederate army, like Federal units, were active in the hours before dawn. The 1st Texas of Brigadier General Jerome B. Robertson's brigade had been ordered to move from the Devil's Den area to the base of Big Round Top. Before the Texans complied, however, a detail of officers and men crawled to the crest of Houck's Ridge, above Devil's Den, to retrieve three ten-pounder Parrott rifles of the 4th New York Battery, which the Confederates had seized earlier in the day. Speaking in whispers, the Texans cleared a path by removing stones, wrapped blankets around the wheels, and dragged the guns down the western slope without alerting the enemy on Little Round Top. The 1st Texas filed through the woods to the southeast about 2:00 A.M. on July 3. The regiment secured its position at the base of the hill probably in time to detect the movement of the two Pennsylvania Reserve regiments toward the crest. The Texans triggered a round or two up the wooded hillside. Not long afterward, Confederate batteries to the west shelled the area. No troops appeared to be more active on the southern portion of the battlefield during the night than Southern artillerists. One gunner complained in his diary that he "spent the whole of last night getting ammunition" for his 2nd Company, Richmond howitzers. The artillerymen fed their horses, killed crippled animals, refilled ammunition chests, tended to their wounded, buried their own while leaving the Federal dead untouched, and obtained rations for the next day. A few batteries shifted their positions, and others were brought up from the rear. Overseeing these labors was Colonel Edward Porter Alexander. At twenty-eight years old, the Georgian was one of the finest artillery commanders in the army, a West Pointer who was exceptionally bright and exceedingly capable. Although only a battalion commander, Alexander had been given tactical control of the First Corps's batteries by James Longstreet on July 2. He rewarded Longstreet's trust by directing the fire in support of the assaults by Lafayette McLaws's and John Hood's divisions. After nightfall, Alexander attended to the myriad details in preparation for the next day and then rode to Longstreet's headquarters near Pitzer's Woods. There he learned from the lieutenant general that Lee had issued orders for a resumption of the offensive at daylight on July 3. "My impression," Alexander recounted later, "is the exact point for it was not designated, but I was told it would be to the left of the Peach Orchard." Longstreet informed Alexander that George E. Pickett's division would arrive on the field and join in the attack. Longstreet also directed the artillery officer to move the Washington Artillery forward and put its four companies in line by dawn. Alexander rode back to the Peach Orchard, fashioned a bed from two fence rails, using his saddle as a pillow, and slept for two hours. Dead men and horses shared the ground with him among the fruit trees. Before 3:00 A.M., he rose, resaddled his mount, and proceeded north along the row of silent cannon, waiting for the arrival of the additional batteries. Major Benjamin F. Eshleman's four batteries of the Washington Artillery and Captain W. W. Parker's Virginia Battery soon appeared. Alexander placed eighteen of the twenty cannon in a line that began about one hundred yards north of the Peach Orchard. Two howitzers of the Washington Artillery were placed in reserve. While the Confederate gunners wheeled their guns into position, Captain Charles W. Squires and Sergeant John Payne of the 1st Company, Washington Artillery, nearly rode into a Union picket line. Only a warning voiced by a fellow Southerner saved them from a prison camp. Alexander completed his preparations by four o'clock or shortly thereafter. Dawn would be breaking from the east in less than forty-five minutes. With his gunners, Alexander could only wait. For all of them, it would be a day unlike any in their experience. The struggle for Culp's Hill, at the opposite end of the Union position, frittered away at last about 10:00 P.M. on July 2. Richard Ewell had been ordered "to make a diversion" when James Longstreet's two divisions moved against the Federal left flank and convert it "into a real attack if an opportunity offered." The assault had begun at 7:00 P.M., after an artillery cannonade. At that hour, three brigades of Major General Edward Johnson's division waded Rock Creek and ascended the wooded, rugged slope of Culp's Hill. Fortunately for the Southerners, only a single Union brigade waited behind breastworks on the hillside. The two infantry divisions of Major General Henry Slocum's Twelfth Corps, numbering about ninety-two hundred officers and men, had occupied Culp's Hill since the morning of July 2, erecting fieldworks of logs, rocks, and dirt from its summit, down the southern slope, to the edge of a large meadow. When the crisis mounted on the Union left and center during the late afternoon and evening, however, Meade sent instructions to Slocum to send troops to Cemetery Ridge. Slocum complied, but through either a misunderstanding or garbled orders, five of the corps's six brigades abandoned their positions on the Union right and marched away. Brigadier General Alpheus S. Williams's three brigades departed at 6:30 P.M., followed thirty minutes later by Brigadier General John W. Geary's two brigades. Left behind were 1,350 New Yorkers of Brigadier General George S. Greene's brigade. Only minutes after Geary's troops departed, Johnson's Confederates appeared through the trees, moving toward the New Yorkers. Culp's Hill actually consisted of two hills, an upper and a lower, which were divided by a saddle, running east to west, about four hundred yards south of the summit. Greene's troops manned the works from the crest to the saddle, where the rifle pits formed an angle and extended south and east toward the meadow. It was too long a line for too few men to defend. Against the New Yorkers came nearly forty-eight hundred Confederates. From behind the breastworks, Greene's men fought with a valor and desperation that rivaled the defense of Little Round Top by Joshua Chamberlain and the 20th Maine. For three hours the opponents hammered each other in the enveloping darkness. A Virginian stated that he and his comrades located the Yankees by "flashes of the guns." At the southern end of the Confederate line, Brigadier General George H. Steuart's troops seized the abandoned works on the lower hill and forced Greene's right regiment, the 137th New York, back up the slope beyond the angle in the works. Only the tenacity of these New Yorkers and the arrival of reinforcements from other corps prevented Steuart's men from penetrating deeper into the Federal position. When the combat ended, Steuart's brigade lay only five hundred yards from Baltimore Pike, Meade's primary supply line and, if necessary, his escape route. The provost guard of the Twelfth Corps, 250 members of the 10th Maine Battalion under Captain John Q. Adams, had been posted to the rear of Culp's Hill, along Baltimore Pike. When the fighting on the hill stopped, Adams sent a detail of men east to reconnoiter the lower hill. They returned about thirty minutes later and reported that the enemy held the works in that area. Adams hurried the information to army headquarters at the Leister house, where Meade and his generals were conferring. About the same time Adams sent his message, Brigadier General Thomas L. Kane's brigade of Geary's division came up Baltimore Pike, returning to Culp's Hill. When Geary had been instructed to follow Williams's division, he had started a half-hour later and mistakenly turned his column onto Baltimore Pike, leading it away from the battlefield. He halted his march on the road at a bridge over Rock Creek, and deployed Colonel Charles Candy's and Kane's brigades. About nine o'clock, Kane began his countermarch, under orders from either Slocum or Geary. Kane's three regiments of Pennsylvanians turned off Baltimore Pike and angled northeast through woods toward the works on the lower hill, which they had constructed and manned before being withdrawn. Although the moon shone brightly, the trees' canopy darkened the area. The 29th Pennsylvania led the brigade, approaching a stone wall that ran roughly parallel to and southwest of the Union rifle pits. Someone shouted for a cheer. The Yankees hurrahed, and a blast of musketry from behind the wall ripped into the column, killing four and wounding ten. The 29th turned about and scrambled back to the pike. The regiment's commander, Colonel William Rickards, Jr., believed that Greene's troops had mistakenly fired the volley. He spurred his horse into the woods, halted, and identified himself. Another volley flashed from behind the wall, hurrying the colonel rearward. Kane then resumed the march on the pike with 111th Pennsylvania in the lead, trailed by the 109th and 29th Pennsylvania. At the farmhouse of Henry Spangler, the troops left the road and followed a farm lane that led to the saddle between the upper and lower hills. The 111th continued on about one hundred yards to the angle in the works. Evidently, the Federals remained unconvinced that enemy troops held a portion of the works on the lower hill. Colonel George A. Cobham, Jr., who shared command of the brigade with Kane, directed the 111th's acting commander, Lieutenant Colonel Thomas M. Walker, to deploy the regiment in its former position. Walker managed to place two companies in the works before another volley, fired at a distance of thirty paces, chased the Pennsylvanians. Walker wheeled his regiment to face the unseen riflemen. Minutes later, Cobham repeated his order to hold the entrenchments. The lieutenant colonel protested against it, and Cobham relented. Walker extended his left flank up the hillside until it connected with Greene's New Yorkers. The 109th and 29th arrived and went into line next to the 111th. Kane's troops faced southeast, covering the saddle and the end of the stone wall. There was no doubt that the Confederates were in their front, but Kane wanted more information about the enemy's location. He sent a reconnaissance party from the 29th, under Captain Charles E. Johnson, down the hillside. All the effort accomplished for the Rebels was the capture of Johnson and five men. With that, the Pennsylvanians lay down and slept. Charles Candy's brigade of six Ohio and Pennsylvania regiments also returned by Spangler's farm lane, arriving about 1:30 A.M. The colonel halted his units in a hollow behind Greene's and Kane's lines, reorganized them, and, at Geary's direction, formed a double line along the lane. Candy's front stretched from Kane's right flank to an orchard north of the Spangler house. Sergeant Aaron Bennyhoff of the 28th Pennsylvania sneaked forward to a large spring on the land of Abraham Spangler (Spangler's Spring) and then returned to his regiment, declaring that "Johnnies were thicker than bees" around the spring. Like Kane's men, the Ohioans and Pennsylvanians slept on their arms. Farther south, meanwhile, the two brigades of Williams's division stumbled into the same dark nightmare that had engulfed Geary's men. Brigadier General Thomas H. Ruger held temporary command of the division -- Williams was attending the council at the Leister house -- and acted with caution. He told both of his brigade commanders -- Colonels Archibald H. McDougall and Silas Colgrove -- to send skirmishers ahead to learn whether the enemy held the works. If these were vacant, they were to bring up the brigades and man them without delay. McDougall proceeded, with his regiments in a double line. Halting them on a rise, he ordered one company each from the 123rd New York and 5th Connecticut forward as skirmishers. They had advanced only a short distance when a blast of musketry exploded in the darkness. The Southerners' fire drove the blue-clad skirmishers rearward into their regimental ranks. The 123rd New York had begun to retire when the 145th New York, lying behind them, mistook their comrades for Confederates and triggered a wild volley before running away. McDougall's rear units halted the rush, and the brigade withdrew behind the rise, to bivouac for the night. Many of the men had to lie down in a muddy cornfield. On McDougall's right, Colgrove's four regiments fared better. They moved ahead -- "we crept quietly along...not a word spoken," in the description of Major Charles F. Morse of the 2nd Massachusetts -- toward their former position in McAllister's Woods, south of the meadow. A company of the 2nd Massachusetts led the march as skirmishers, passing through the woods into the meadow, where they captured a solitary Confederate. They brought the captive back to the brigade and reported that no other enemy troops occupied the woods. The regiments proceeded into the meadow and halted. Lieutenant Colonel Charles R. Mudge of the 2nd Massachusetts ordered Morse to cross the lowland with a company and to determine whether the Rebels were in the woods on the lower hill. Morse led Company F across the meadow into the trees, where they stumbled upon a Confederate captain and twenty-two men. Mudge reported the capture of the enemy party to Colgrove and perhaps to Ruger. Colgrove thought the Southerners were stragglers and instructed Mudge to send in another company of skirmishers, supported by the regiment. The 107th New York was ordered to move forward on the left of the Bay Staters. This time the Yankees found what they were seeking. When Captain John A. Fox of Company K demanded the surrender of the Southerners whom his men had located, the Confederates replied with gunfire. The outburst wounded three of Fox's men, and the others bolted for the meadow. Convinced, Colgrove withdrew the troops into McAllister's Woods and posted pickets. It was, as Morse related in a letter to his mother, "enough skylarking for one night." Alpheus S. Williams had rejoined his command by this time, only to receive "the astounding intelligence" that the enemy had taken the works on the lower hill. He met with several officers and reportedly told a group of them, "We will hold the position we now have until morning. Then, from these hills back of us, we will shell hell out of them." By morning, there would be more Confederates to "shell hell out of" on Culp's Hill. To bolster the attack that Lee had ordered for daylight on July 3, Ewell pulled Brigadier General James A. Walker's Stonewall Brigade from guarding the corps's left flank and ordered three brigades from his other two divisions to report to Johnson. Walker's Virginians rejoined their comrades in Johnson's division well before sunrise, while two of the brigades -- Brigadier General Junius Daniel's North Carolinians and Colonel Edward A. O'Neal's Alabamians -- marched throughout the night, arriving about thirty minutes before daylight. When the sun rose, Johnson had six brigades and another one approaching for the difficult and assuredly bloody work ahead. Before he rested that night, one of Walker's men, Sergeant David Hunter of the 2nd Virginia, wrote a letter to his mother. "We are in all probability on eve of a terrible battle," the Stonewall Brigade member wrote. "The two contending armies lie close together and at any moment may commense the work of death. Great results hang upon the issue of the battle. If we are victorious peace may follow if not we may look for a long and fierce war. We trust in the wisdom of our Gens, and the goodness of our Father in Heaven who doeth all things well." Perhaps a mile away in a direct line from where Hunter wrote his letter, on Cemetery Ridge, Captain Silas Adams of the 19th Maine thought of home. He was the one who had wondered if his love in Maine was looking upon the same stars as he gazed at in the moonlit sky. He later remembered, however, that on this night, "I felt sad, and dreaded the next day." He spoke for more men than he probably knew. 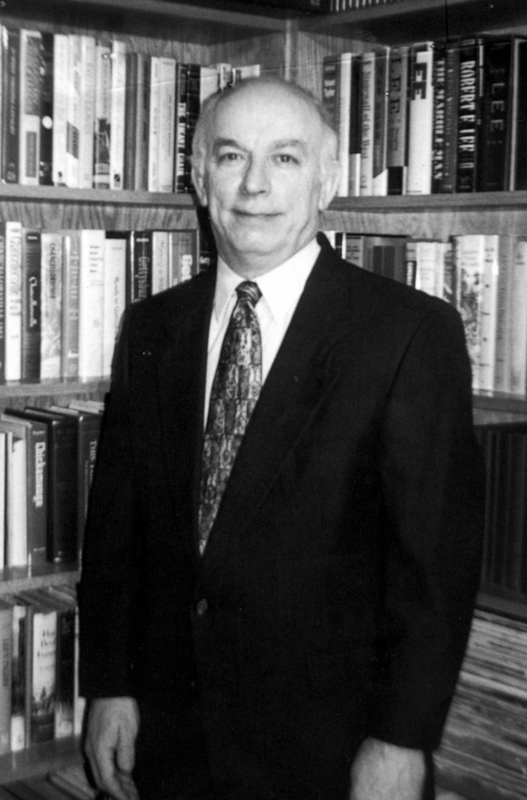 Jeffry D. Wert is the author of eight previous books on Civil War topics, most recently Cavalryman of the Lost Cause and The Sword of Lincoln. His articles and essays on the Civil War have appeared in many publications, including Civil War Times Illustrated, American History Illustrated, and Blue and Gray. A former history teacher at Penns Valley High School, he lives in Centre Hall, Pennsylvania, slightly more than one hour from the battlefield at Gettysburg. Jay Winik The Washington Post Chronicled with considerable flair and authority. Willian D. Bushnell Civil War Book Review A compelling, gripping, and hour-by-hour account...Wert has once again added immeasurably to Civil War scholarship with this masterful story of men at war. Stephen W. Sears author of Chancellorsville A deeply researched, thorough, and rock-solid narrative of the climactic day at Gettysburg, by one of our best...historians. The Dallas Morning News Wert's artistic blend of analysis and narrative, enlivened by telling, firsthand descriptions of the carnage, allows readers to see Gettysburg as never before.